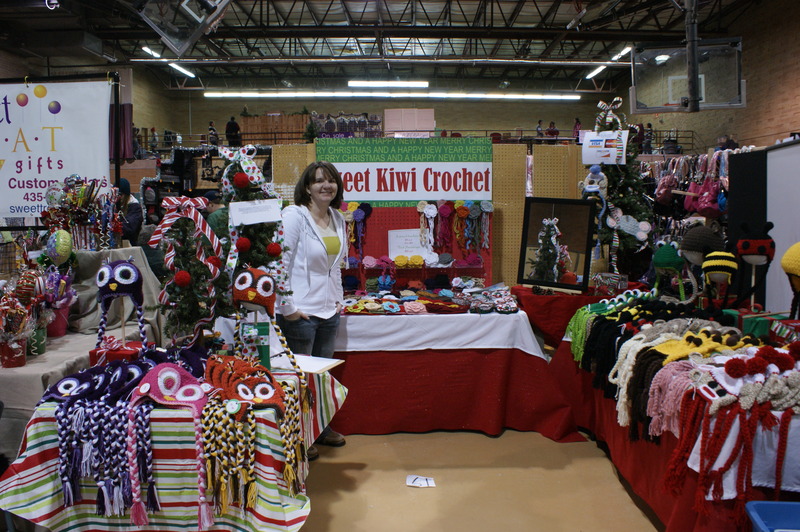 ← Selling at a Craft Show, Part 3a: I got in! Now what? Selling at a Craft Show, Part 3b: What do I take? The “Selling at a Craft Show” series is intended to help those interested in selling any handmade good, whether it be knitting or crochet, paper airplanes and jewelry. Find Part 1 here, Part 2 here, and Part 3a here. Below is a list of things to consider bringing to a craft show! Customize it as needed! Chairs – Consider ones with padding for comfort. Table Clothes – Don’t have any? Try buying a Full size flat sheet from Walmart. They have a variety of colors, and the full is long enough to hang down to the floor in front so that you can store boxes under the table and out of view. Canopy – For outdoor shows. Make sure there are no color requirements. Extra signs – If you’re going to be taking credit cards, it helps to have a sign letting people know you do. Same with taking special orders, make sure people know you’re willing. Mirror – If you’re product is something that the customer will want to try on before buying. Easel – To hold your mirror. Cash box or fanny pack – make sure you have a place to keep your money! Cash – Always bring lots of small bills to make change for people. I usually bring $100 in $1, $5 and $10 to start with. Credit Card Processing Equipment – Taking credit cards can be very good for your business. If you have an iPhone or iPad with 3G capabilities, I recommend Square. Paper bags – I put stickers on mine with my business info. Inventory List – This is the easiest way to keep track of what you’ve sold, just cross it out when a customers buys. Throat Lozinge/Hard Candy – You’ll be surprised at how sore your throat can get after a full day of talking! Granola Bars/Other Food – Even if you plan on buying food at the show it’s a good idea to have some snacks if hunger hits quickly. WATER – Especially if the show is outdoors. Bring more than you think you’ll need. And if you make a craft that you can do while you’re at the show, bring it as well! I get quite a few people that come into my booth to see what I’m crocheting at the moment. It generates interest, and I get a lot of work done! However, you’ll only want to do this if you can do it and freely talk with customers at the same time! If you have to concentrate too much, forget it! So what do you think, does anyone have anything to add?